GHAC completes 10 years Today on the 27th May 2018 with over 28000 registered members, 300 outdoor leaders and completing over 5000 #outdoor and #adventure events. What started as a dream has been transformed into a big adventure #community and outdoor activity movement, redefining how weekends are spent in #Hyderabad and beyond. 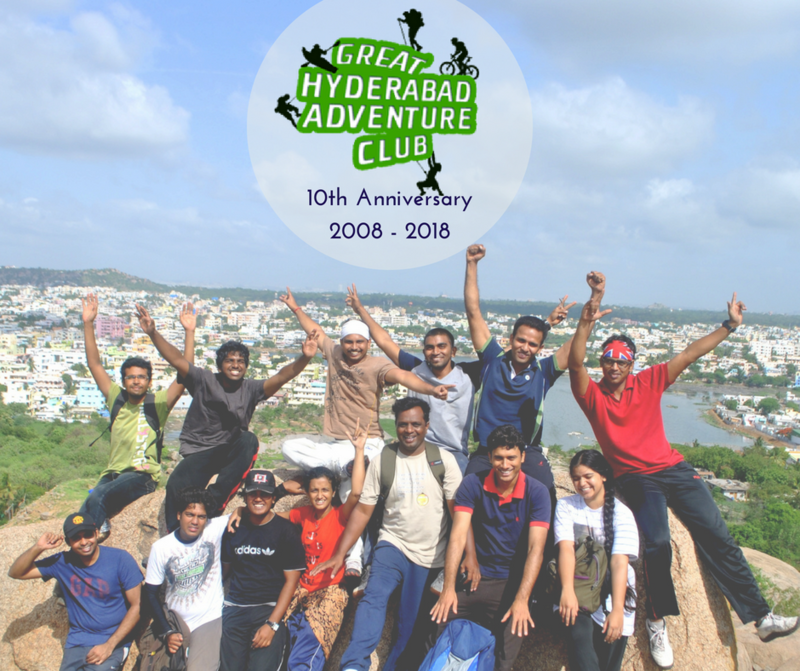 A Mighty Congratulations to all the #GHAC Outdoor Leaders and members for their hard work and passion in creating a adventure community for Hyderabad. I am thankful to all the GHAC Leaders, Friends and Family for their unconditional support to GHAC all along the years. 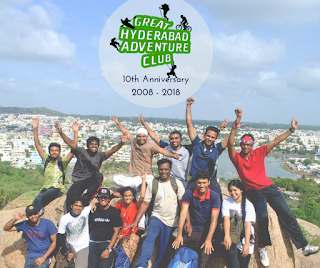 GHAC is what it is today only because of the numerous men and women who gave their time, energies and passion to create a large adventure family for Hyderabad. Wishing you more Adventures Ahead.